Looks like Spotlight round two is on the way, except this time, that light is shining on the Hollywood sign. 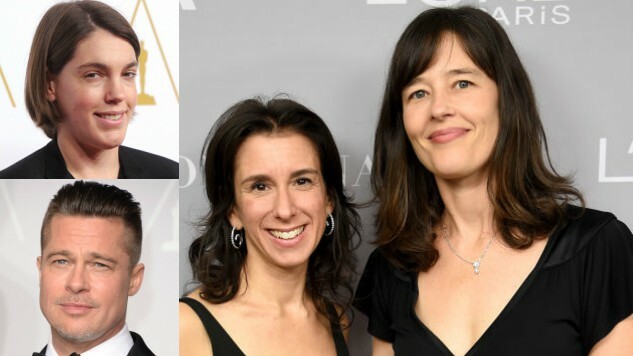 According to The New York Times, an untitled film from Annapurna Pictures and Plan B will focus on The NYT’s Pulitzer-winning coverage of the Harvey Weinstein scandal that started a cultural movement. In October of last year, NYT investigative reporters Jodi Kantor and Megan Twohey published an article revealing decades of sexual assault allegations against Weinstein, which was soon followed by another damning article, this one written by Ronan Farrow for The New Yorker. These articles, which earned Pulitzers for the writers, started a global movement that would not only expose Hollywood predators, but also expose sexual misconduct perpetrated by people across industries. The film will follow Kantor, Twohey and their editor, Rebecca Corbett, as they dig deeper into the investigative journalism that helped launch the #MeToo movement and the #TimesUp Initiative. Brad Pitt’s Oscar-winning Plan B Entertainment (12 Years a Slave, Moonlight) and Megan Ellison’s Oscar-nominated Annapurna Pictures (Phantom Thread, American Hustle) bought the rights. In the wake of the aforementioned articles’ release, more and more horror stories were brought to light recalling incidents with Cara Delevingne, Gwyneth Paltrow, Asia Argento, Angelina Jolie, Lupita Nyong’o and so many more. The most vocal and persistent leader of Weinstein’s long-overdue rude awakening was Rose McGowan. The effects of these articles and all the brave victims who have come forward since have showed the true power of journalism. Weinstein was fired from his own company, which has since filed bankruptcy, and was kicked out of the Academy of Motion Pictures Arts and Sciences, and banned for life by the Producers Guild of America. This caused a chain reaction, resulting in a wave of new allegations against the likes of Kevin Spacey, T.J. Miller, Jeffrey Tambor, Ed Westwick, James Franco, Louis C.K., Michael Douglas, Al Franken, Matt Lauer, Russell Simmons and unfortunately, many more. This will be the second time Annapurna and Plan B work together. The two companies currently are working on an untitled Miranda July project, featuring an all-star cast.